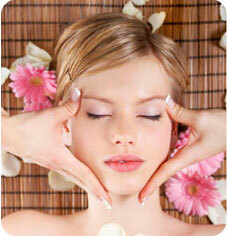 A facial is a spa therapy that leaves your skin cleaner, softer, younger, and truly transformed. Your skin is the largest organ of your body and a direct reflection of internal wellbeing. Facials can clear clogged pores, quench parched skin and remove dead cells. We help you look your best with our body waxing services. Professional waxing will leave your skin smooth and with regular waxing treatments you'll have lighter hair growth and more beautiful skin. Can enhance the strength and barrier function of the skin. Also improve skin hydration and beauty products to absorb better. Helps with acne, dry skin, fine lines and wrinkles as well as excessive oil production, sun damage, acne scars, clogged pores and mild skin imperfections. Painless powerful topical resurfacing attached to a vacuum that aid in exploitation and unclogging pores. Helps diminish sun damage, pigmentation, minor acne, fine lines, wrinkles and coarsely textured skin. Wonderful choice for those who cannot tolerate peels. Incorporated into a 50min facial.